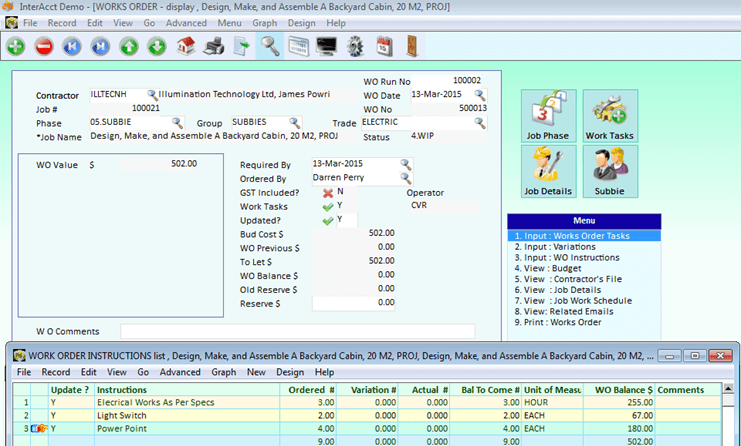 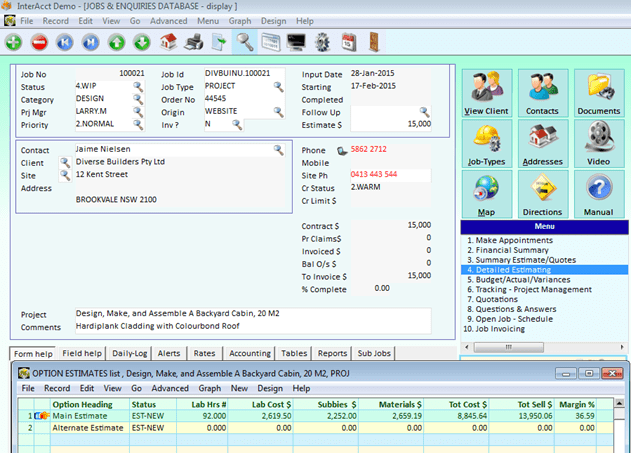 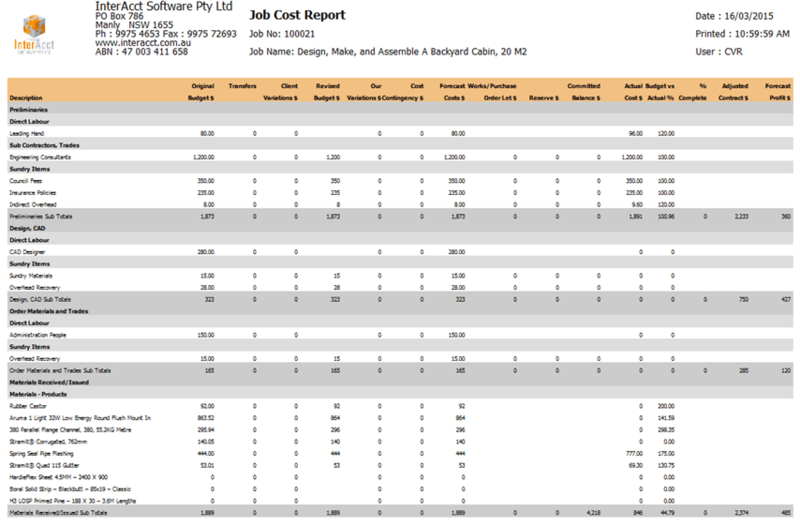 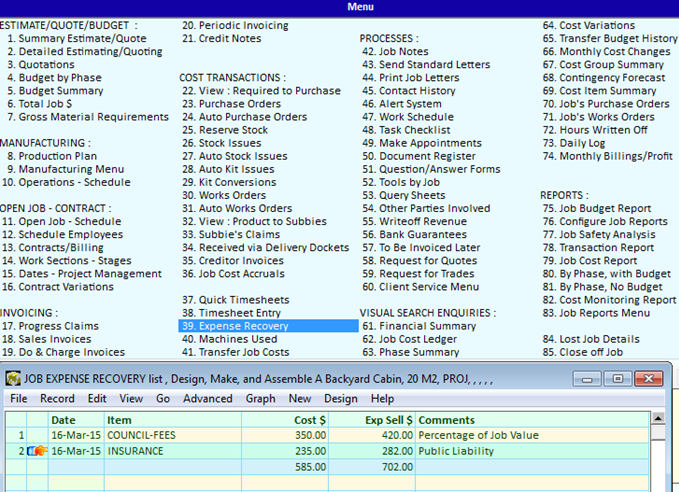 Why InterAcct Job Costing Software? 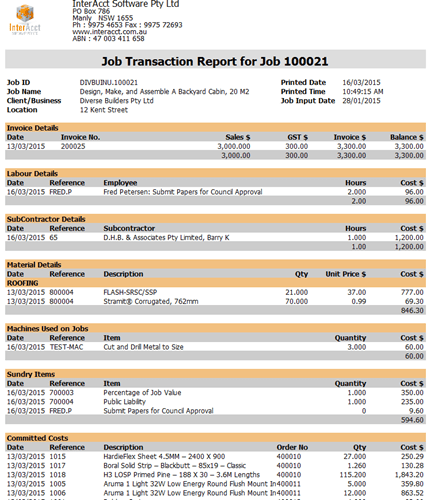 InterAcct Job Management Software is complete, integrated system of all of your Accounting, Client Management, Employee Performance and Payroll needs. 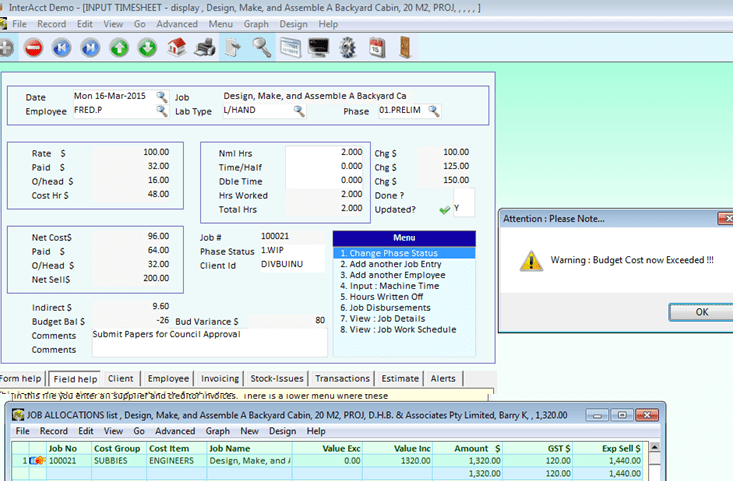 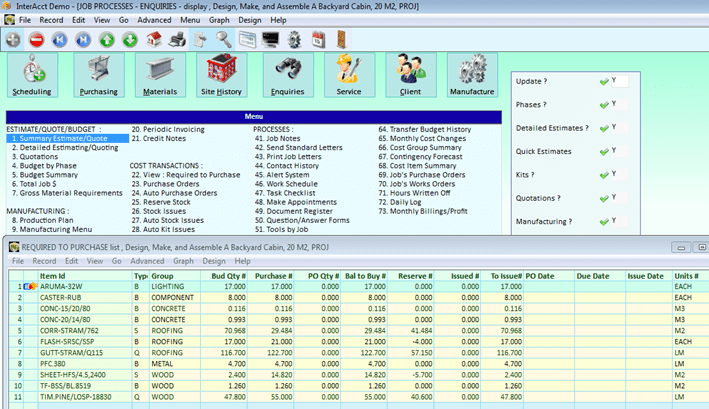 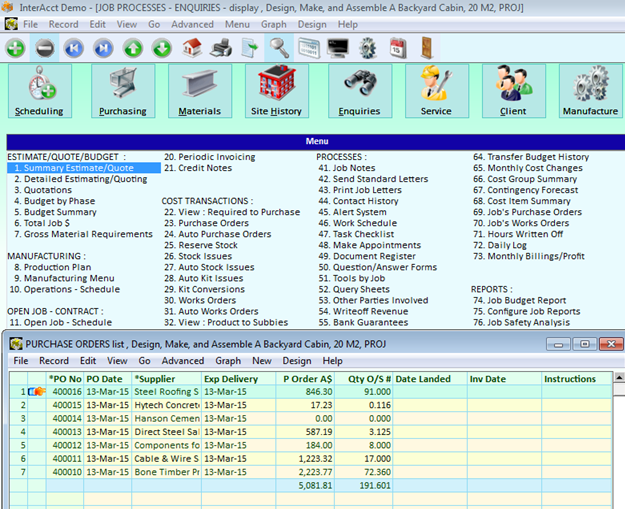 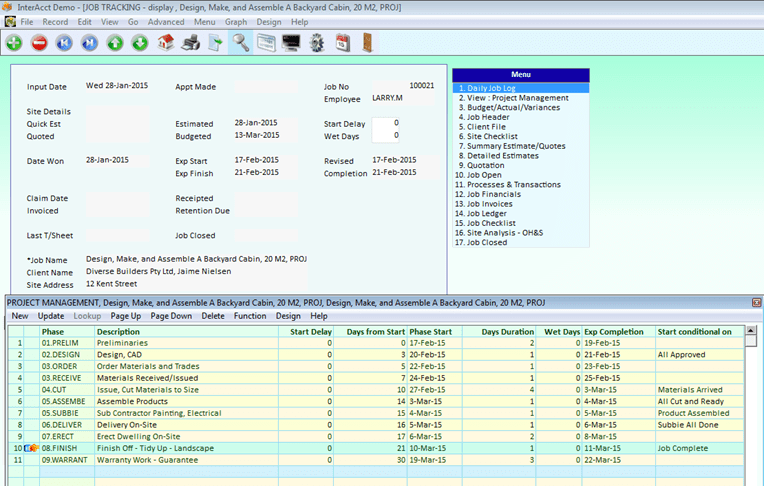 This option is used with Kit Issues by taking the material estimate as a basis to raise suggested purchase orders or Requests for Quotes. 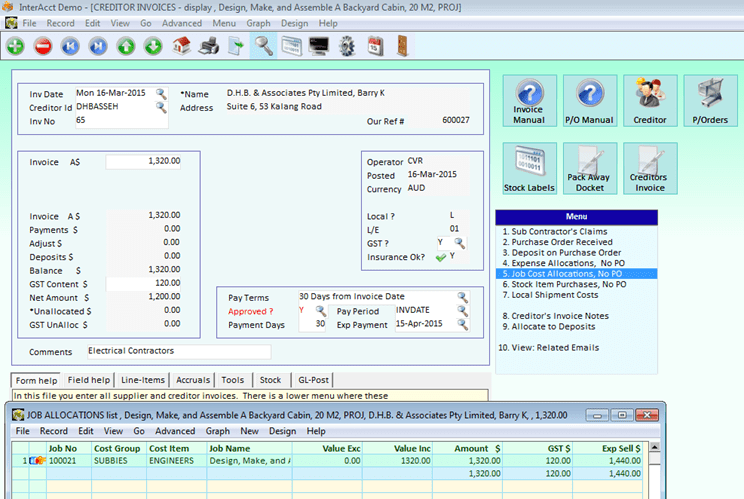 InterAcct is an Australian Job Costing Software Application. 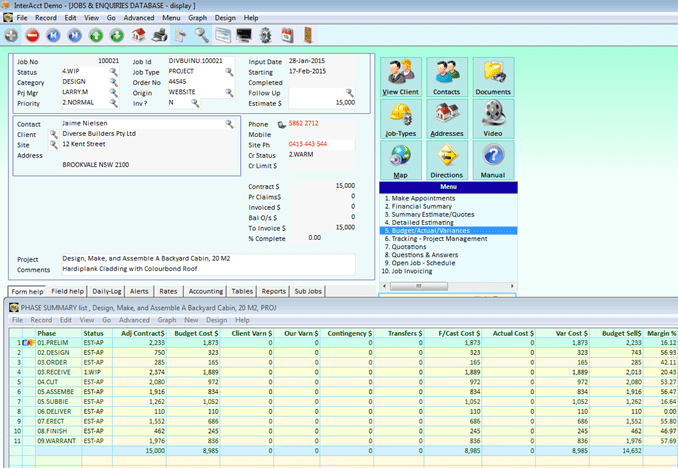 Designed, developed and supported from Australia.